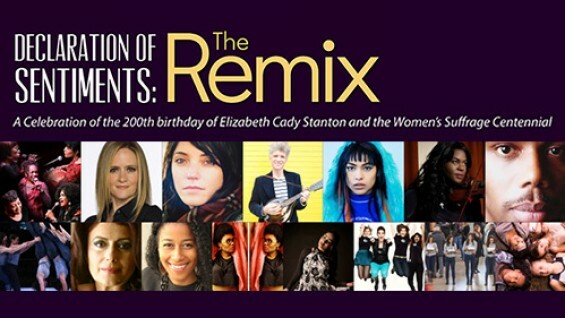 A revelatory evening of music, performance, art, and oratory honoring Elizabeth Cady Stanton’s 200th birthday will kick off New York City’s five-year celebration of the Women’s Suffrage Centennial. These extraordinary performers and speakers who embody feminist values and women’s empowerment will come together to highlight the trailblazing suffragist, social activist and women’s rights pioneer, Elizabeth Cady Stanton and respond to the Declaration of Sentiments, a document written by Stanton and others in 1848, which sparked the women's suffrage movement. This event is ticketed. $40 for general admission. $20 for students. There are limited complimentary tickets for faculty, staff and students of The Cooper Union. To request complimentary tickets, write to David Greenstein, director of public programs. The event will be co-hosted by The Cooper Union and take place in its historic Great Hall, the same venue where Stanton, Fredrick Douglass, Susan B. Anthony and Abraham Lincoln all spoke.